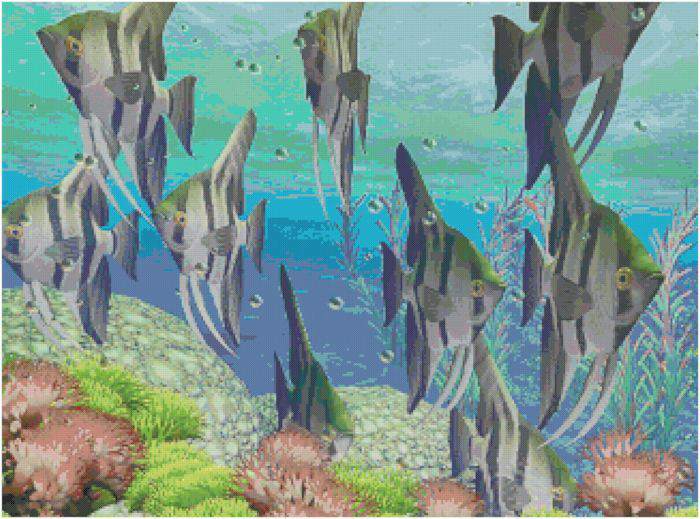 Here is an aquarium school of angel fish. It’s a bright and vibrant pattern. It is 325×241 stitches and has 180 different colors. Original Artwork by Junior McLean. This is such a colorful and creative fish. 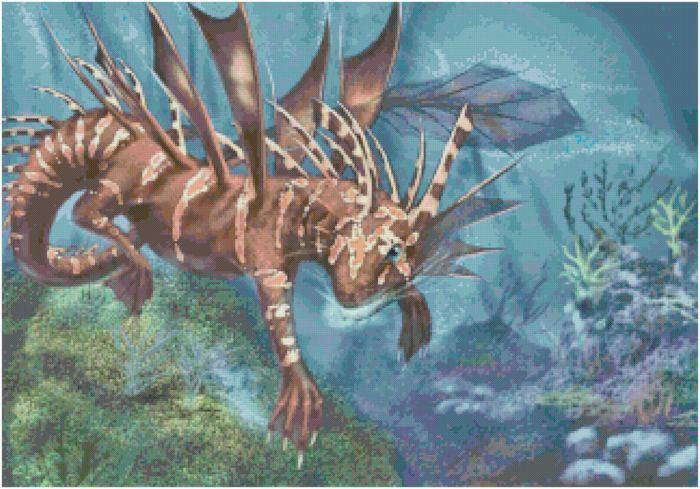 He is a dragon fish complete with spines and a dragon tail. The background is amazingly detailed as well. 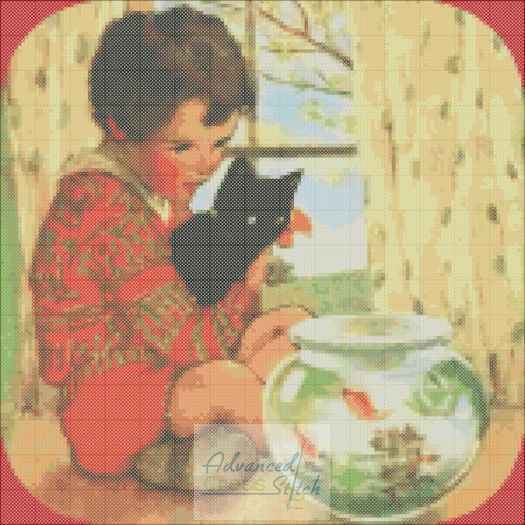 The pattern is 322×225 stitches and it contains 200 colors. Original Artwork by Jennifer Lange. 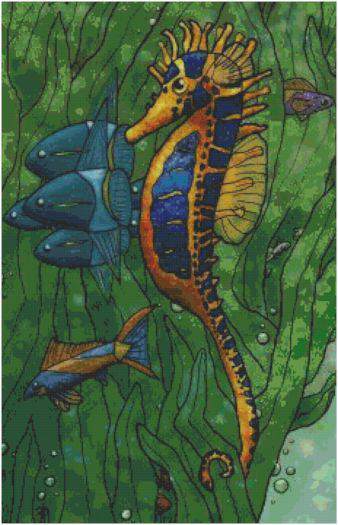 Here is a cute little piece is the spikey seahorse. He has a brown patchy color to it, which is so sweet. This pattern has 117 colors in it, so very colorful. It is 70×127 stitches. Original Artwork by Jennifer Lange.